CNC machinery represents a major investment for your company. In order to keep your machines in good working order and avoid costly downtime, Mitsui Seiki USA recommends that our customers implement a yearly Preventative maintenance program. Unlike a distributor network or machine tool repair company that service many different machine tool manufacturers and types of machines. Mitsui Seiki service Engineers only preform services on Mitsui Seiki machine tools. This allows our service team to be focused on only our products. Our staff of Mitsui Seiki specialists are factory trained professionals that can quickly troubleshoot and maintain all of our machinery including Mitsui Seiki Machining centers, Jig Boring and Jig grinding machines as well as our thread grinding machines. What options do you have for your preventative Maintenance program? In order to maintain the highest level or accuracy and repeatability for your equipment, Machine performance measurement and diagnosis is essential to establish a known and repeatable level of process capability for any machine tool. By choosing this option you can establish a baseline of your equipment during the first calibration then be able to compare the results taken on a yearly basis to diagnose any wear with the axis drive systems. 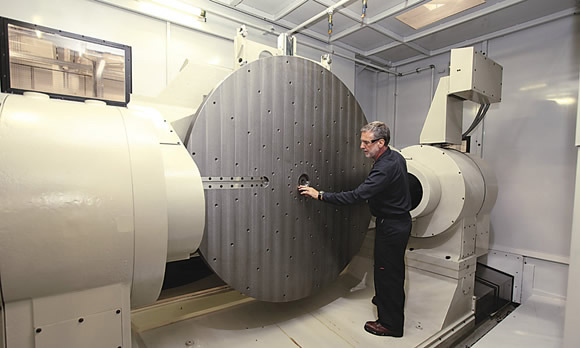 Mitsui Seiki USA offers Machine tool calibration services to complement our Preventative maintenance program. We use the latest Laser interferometers and Ball bar systems to check and adjust your machinery. This service is an additional option that can be purchased with our service packages B and C.